Homepage » Knitting » [Photo Tutorial] This How To Knit A Shoe Tutorial Is Brilliant! [Free Pattern] This Ruffley Granny Square Is So Clever And Yet So Simple! This is a fun project! Teenagers will go crazy about it! It’s cheap, it’s fancy, and it’s genius! 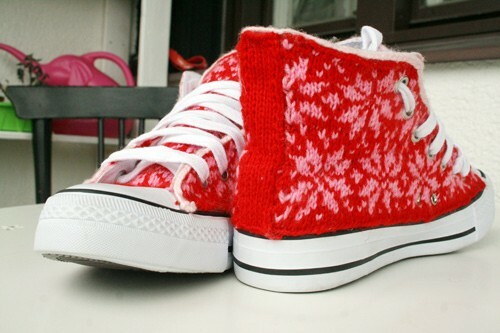 What’s even greater about it, in my opinion, is that you can really get creative and knit a really unique pair of shoe. Nobody else but you! Or….maybe your best girlfriend! The Tutorial – how to knit a shoe by Kamilla is in form of a pdf download with lots of pics and instructions. You get to choose between two downloads: in English and in Swedish. 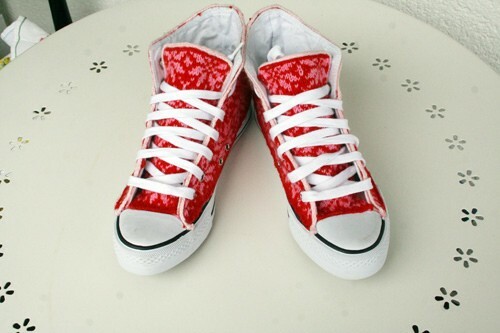 In May 2011 I’d knit a pair of shoes, I’ve seen knitted shoes on the internet but didn’t find anyone that was like I imaged it so I decided to knit a pair!, it took about 1½ week for me to measure, knit and glue them together. Thanks to Kamilla for this article inspiration and featured image. 2 Comments to [Photo Tutorial] This How To Knit A Shoe Tutorial Is Brilliant!